Colonel Joel H. Ward passed away July 5 in Fort Worth. He was 78. As an ROTC cadet at UTA, he rose to the rank of Cadet Colonel, commanding the 600-man Corps of Cadets. He graduated with a history degree in 1963 and was named a Distinguished Military Graduate. He served 25 years with the U.S. Army, earning three Bronze Stars for valor during two tours in Vietnam and serving as a nuclear weapons strategist in the Pentagon. In 1984, he returned to UTA as a professor of military science. 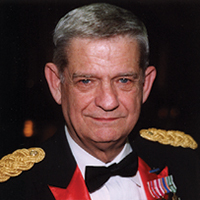 He was inducted into the UTA Military Science Hall of Honor in 1993 and was named a Distinguished Alumnus in 2006. John Dudley Wetsel, former vice president for business affairs, passed away June 5 in Arlington. He was 81. An avid golfer and longtime member of the Downtown Arlington Rotary Club, he spent the majority of his professional career with The University of Texas System, retiring after 22 years of service. After his retirement, he enjoyed spending time with his grandchildren and working on his ranch. The J.D. Wetsel Service Center, which houses Human Resources and Parking and Transportation offices, was named for him. Robert R. Reed ('63 BA, Industrial Aero Engineering), 98, May 7 in Doerun, Ga.
Charles L. Brown ('64 BS, Mathematics), 80, May 4 in Irving. Terry T. Morris ('66 BBA, Business Administration), 72, April 19 in Fort Worth. He retired from Bell Helicopter in 2002 after 30 years. Ronnie C. Murray ('66 BS, Electrical Engineering), 74, May 15 in Fort Worth. F. William "Bill" Othon ('69 BS, Civil Engineering), 76, July 12, 2015, in Houston. John A. Doerr ('70, BS, Electrical Engineering; '74 MS, Biomedical Engineering), 69, July 16 in Cleburne. David Wade Culberston ('71 BS, Industrial Engineering), 71, Dec. 26, 2015 in Georgetown. Lloyd M. Lakey ('71 BA, English), 72, April 6 in Arlington. He was owner and vice president of sales at Cameo Samples in Fort Worth and was a partner of Shirtwerx in Pantego. Ronald C. Rockwood ('72 BA, Computer Science and Engineering), 69, June 11 in Hurst. Freddie W. Watson ('72 BBA, Accounting), 66, May 24 in Caldwell. He retired in 2006 with 33 years at ExxonMobile Corp. in Houston. James Rick Barnes ('73 BBA, Finance), 67, July 1 in Dallas. Max L. Bunting ('73 MSSW, Social Work), 85, May 9 in Woodway. He was a social worker for the Department of Health Services for 27 years. Robert W. Whitney ('74 BS, Criminal Justice), July 19 in McAllen. His more than 25 years in law enforcement included over 16 years with the Dallas County district attorney's office. Linda "Lin" Moore Smith ('75 MA, Urban Affairs), 67, July 17 in Austin. Ronald Stephen Ching ('76 MS, Industrial Engineering), 67, July 2 in Plano. He retired from Raytheon in 2016. Nathaniel L. Lacy Jr. ('77 PhD, Urban Affairs), 81, July 13 in Huntington, W.V. Joe A. Smith Sr. ('77 BBA, Business Administration), 69, April 19 in Dallas. He retired from the U.S. Postal Service in Dallas after 35 years. Nita Price Zapata ('77 BSN, Nursing), 61, April 18 in Nacogdoches. Betty L. Peterson ('78 BA, Modern Languages), 86, May 5 in Fort Worth. Joyce A. Kirkendall-Ray ('79 BBA, Accounting), 72, April 5 in Kalispell, Mont. James M. Edwards ('80 MA, History), 66, June 1 in Kilgore. He was an educator for Arlington and several other school districts. Janis Hartley Watson ('80 BS, Education), 69, June 17 in Grand Prairie. She was a teacher's aide for special needs students in the Grand Prairie ISD. Ken Crosby ('81 BS; '88 MA, Architecture), 58, May 11 in Lewisville. He served as an officer in the U.S. Air Force and worked at Jacobs Engineering. Louis Michael "Mickey" Doyle ('81 BA, Journalism), 58, April 26 in Humble. Monte D. Allen ('82 BS, Economics), 57, April 4 in Laredo. Dr. Allen practiced gastroenterology in Laredo. Patricia Middlebrook ('82 BA, History; MSSW, Social Work), 79, July 5, in Austin. She was a medical social worker in Fort Worth and Austin. Juan Tello ('83 BA, Sociology), 69, April 1 in San Antonio. He was an elementary school teacher for Somerset schools. Norman B. Thurow ('83 MBA, Business Administration), 63, May 19 in San Antonio. Barbara A. Martell ('84 MA, Urban Affairs), 66, June 16 in Port Huron, Mich.
Myrna K. Winnick ('84 BA, Landscape Architecture), 73, April 5 in Fort Worth. Steven G. Chirco ('85 BBA, Marketing), 54, July 15 in Castle Rock, Colo.
Richard E. Po (‘85 BS, Medical Technology), 55, April 27 in Georgetown. Edward Allen Childress ('86 BS, Civil Engineering), 59, July 20 in Fort Worth. Camellia A. Taylor Chupik ('89 BSN, Nursing), 69, April 18 in Hillsboro. She served as a community health nurse. Carter B. Rowe ('89 BFA, Art), 49, April 24 in Waxahachie. A technical illustrator, he was employed by Intellectual Property Illustrations of Flower Mound. Vicki A. Harris ('90 BSN, Nursing), 54, June 16 in Clyde. She worked in the ICU at Hendrick Medical Center, the Abilene State Supported Living Center, and the Middleton Transfer Facility. Kimberly A. Robertson II ('90 BBA, Management), 58, July 28 in Fort Worth. Donald Ray Taylor ('90 ME, Computer Science and Engineering), 74, Nov. 12, 2015, in Austin. Michael T. Asbjornson ('91 BS, Biology), 52, July 12 in Arlington. He was a registered nurse. Sean Thomas Klase ('93 BS, Physical Education), 50, July 15 in Dallas. John H. Cartmill Jr. ('94 BA, History), 85, April 8 in Irving. He taught real estate classes at UTA. Terry St. Peters ('94 BA, Communication), 48, May 24 in Fort Worth. He worked at Freeman Audio Visual as well as Alford Media as the production services manager. Phoebe Carol Moore ('98 MS, Social Work), 76, April 17 in Fort Worth. Bianca Duvall-Hayes ('00 MS, Information Systems; '03 MBA, Business Administration) May 23 in Tulsa. She served in the Naval Reserves and transitioned from the corporate world to be a middle school teacher. Troy Smith ('00 BS, Information Systems), 55, June 10 in Fort Worth. Sterling "Spud" Robertson Jr. ('01 BA, English), 37, May 24 in Abilene. Janice Kathryn Kaiser Dzisah ('03 BA, Education), 58, April 11 in Burleson. Byoungsoo Moon ('13 PhD, Engineering), 74, July 19 in Dallas. His engineering projects included the American Airlines Center, the Crescent Hotel in Dallas, the Anatole Hotel, the Plaza of Americas, and the Galleria Mall in Houston. Andre M. Crabbe ('15 MA, Architecture), 40, July 12 in Arlington. He worked at CM Architecture in various roles for 13 years and at Huckabee and Associates. Robert B. Boley, 87, June 18 in Abbott. Dr. Boley taught biology from 1965-98. Louis H. Bragg, 87, May 19 in Arlington. Dr. Bragg taught biology and botany for 34 years. Mervin Robert Childers, 91, July 10 in Arlington. Dr. Childers taught mathematics for 36 years. Chuck Curtis, 80, May 9 in Weatherford. He guided the Mavericks football team in the last two years before the program was discontinued. Kim D. Green, 65, June 5 in Grand Prairie. She was director of grant accounting. Linda Nance Marks, 77, June 9 in Fort Worth. Dr. Marks taught in the College of Nursing and Health Innovation. Milton Paul Miller Jr. ('41 BS, Engineering), 95, June 13 in Fort Worth. While in college, he served as an associate professor of mechanical engineering. He was employed by Rochester Midland Corporation. John Mills, Dec. 28, 2015, in Stratford, Conn. Dr. Mills was a professor emeritus in the Mechanical and Aerospace Engineering Department. 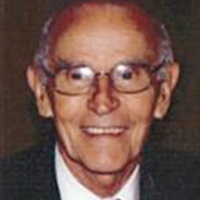 Charles E. "Gene" Ramsey, 93, July 13 in Spencer, Ind. Dr. Ramsey taught sociology from 1977-93, retiring as a professor emeritus. Henry Sebesta, 77, June 30 in Longmont, Colo. Dr. Sebesta served as chair of the Mechanical and Aerospace Engineering Department from 1975-81. G.T. Stevens, 84, Dec. 10, 2015, in Arlington. Dr. Stevens taught in the Industrial, Manufacturing, and Systems Engineering Department from 1975-2002 and served as department chair from 1975-98.